For almost two years, Taylor has guided a play development process that has made us question this daily ritual of men publicly appraising our bodies; she’s made us question all that has become so ordinary and so a part of life to us. Growing up in D.C., on sunny afternoons I’d take trips to the corner store with my elder sister. It was a ritual of ours, a daily occurrence, and part of life. I looked forward to all the soda and candy I was about to receive. The men who stared at my older sister were also a part of the ritual. Leaning on cars or standing in line, their casual whispers detailing what they’d like to do to her were a daily occurrence, and a part of our life. But we always purchased our snacks and went home, giggling and chatting as if nothing out of the ordinary had just occurred. It wasn’t until I started developing Think Before You Holla with Taylor Reynolds and an ensemble of courageous women that I began to see how extraordinary it actually was. For almost two years, Taylor has guided a play development process that has made us question this daily ritual of men publicly appraising our bodies; she’s made us question all that has become so ordinary and so a part of life to us. Think Before You Holla (TBYH) is a devised piece of theater, which means it was created from scratch, using information sourced from newspapers, movies, novels, statistics, and even Facebook statuses. Often I can scroll down my timeline and see instances in women’s lives that seem ripped from the script. I must admit that it is unsettling to leave rehearsal and find that the play has become real life and the bullying, intimidation, and violence towards women has become ever present and quotidian. The word ‘theatre’ comes from the Greeks. It means the seeing place. It is the place people come to see the truth about life and the social situation. Theatre presents us with the opportunity to make quantum leaps in our understanding of other people’s experience because we get to see these experiences. TBYH shows audiences what it is like to move through the world as a woman—that simply walking outside requires bravery and a sort of numbness. In truth, I’ve had to numb myself to the discomfort of being sexualized in a public space by a stranger because that type of discomfort is an all too common part of life. You can see the extent of this disregard for women’s autonomy all over our current political landscape, and D.C. is ground zero. How else could we have a room full of men at the White House decide the fate of women’s maternity care coverage in the new health care bill? Why is that? What would make a man believe he knows what’s best for a woman’s reproductive system? There must be an underlying belief, so common, so ordinary, and so a part of life that it is hidden in plain sight. For this to be possible, as a society, we must hold the belief that a woman’s body does not belong to her. But this raises the question: if a woman’s body does not belong to her, then who does it belong to? The family? The community? Any man? Perhaps, all three. The reality of living in America as a woman can be a minefield of violence and disregard, but Stella Adler reminds me that, “Life beats down and crushes the soul and art reminds you that you have one.” Developing TBYH reminded me of my humanity in a world that seems to diminish or deny it. TBYH has taught me that I do not have to accept something just because it is considered “common.” (It was once “common” to own and breed people like livestock.) To confront these everyday acts of intimidation, the play offers actionable steps towards fighting street harassment. The show presents viable responses you can make to being harassed or witnessing harassment happen. To empower audiences, there will be self-defense and bystander-intervention workshops between shows. The exciting thing about creating new theatre is that your awareness intuitively increases and you are able to more clearly see the forces shaping your world. Think Before You Holla reminds me that, instead of falling into bitter cynicism, resentment, and despair, you can create something. Perhaps, when we share the truth of our experiences onstage, it gives others the courage to share theirs, thus making the personal political, the ordinary extraordinary, and the theater revolutionary. Think Before You Holla uses true stories via interviews and social media to examine the patriarchal roots of gender-based street harassment and its overall influence on women’s psyches. 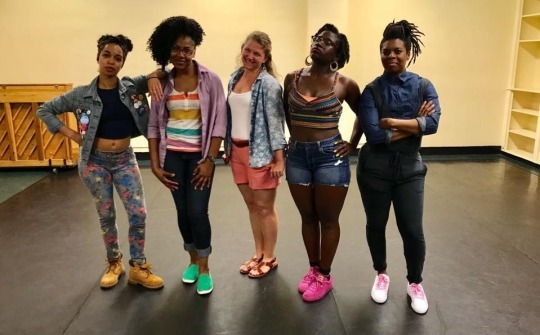 Think Before You Holla was created and directed by Ally Theatre Company Associate Director Taylor Reynolds and features Jennean Farmer, Chelsea D. Harrison, Victoria Mrythil, Christina Neubrand, and Jehan O. Young with costume design by Katherine Karaus and sound design by Justin Propper. All performances take place at Joe’s Movement Emporium (3309 Bunker Hill Road Mt. Rainier, MD). Tickets are $17 and can be purchased either through Joe’s Movement Emporium (301-699-1819) or the Capital Fringe Festival Box Office (866.811.4111). 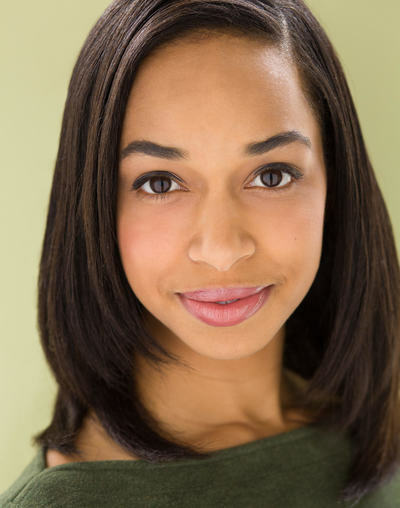 Chelsea D. Harrison is a proud Washingtonian and a graduate of the Duke Ellington School of the Arts, New York University Tisch School of the Arts, and the Stella Adler Studio of Acting. Chelsea also writes plays, directs new works of theater, and produces arts events across New York City. In 2015, she was an Inaugural Fellow for the Richie Jackson Artist Fellowship from the Tisch School of the Arts, which gave her the opportunity to executive produce her play, Daughters of the Bayou. She is currently developing Daughters into a screenplay for an independent film project. Chelsea is also a teaching artist who works with a range of students, from kindergarten ballerinas to incarcerated teens and adults at Rikers Island.